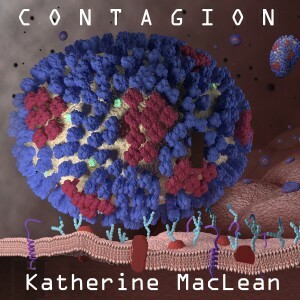 Katherine Anne MacLean is an American science fiction author best known for her short fiction of the 1950s that examined the impact of technological advances on individuals and society. She received a Nebula Award in 1971 for her novella The Missing Man, and she was a Professional Guest of Honor at the first WisCon in 1977. She was honored in 2003 by the Science Fiction Writers of America as an SFWA Author Emeritus. Minos is such a lovely planet, as the crew of the space cruiser Explorer discover. Not a thing seems wrong with it. Excepting the food perhaps. And a disease that really isn’t. They are surprised to learn they are not the first humans to arrive on Minos. In fact, there is a small colony on Minos whose inhabitants have one odd detail in common, as the Explorer‘s crew is soon to discover.